Be’that (Arabic: ????) (also referred to as Eid al-Mab’ath) refers to the eve of 27th Rajab in the Islamic Calendar (though some scholars suggest that it was in the month of Ramadhan), when Prophet Muhammad (pbuh) received revelation in the Cave of Hira and thus was permitted to declare his Prophethood. It is a day rejoiced upon, as it indicates the initiation of the divine message of Allah (swt), and the Prophet had arisen to proclaim the Unity of God in order to demolish the edifice of superstition, ignorance, and disbelief, to set up a noble conception of life, and to lead mankind to the light of faith and celestial bliss. It was in the cave of Hira where the Prophet received his first revelation. The eve of 27th Rajab coincides with the night of ascension. ??????? ??????? ??????? ??????? ?????? [96:2] Created man from a clot. ??????? ??????????? ??? ???? ???????? [96:5] Teacheth man that which he knew not. While the accounts of this incident slightly differ, according to the Shi’a view the Prophet was neither frightened nor surprised to see the angel. Gabriel brought the tidings that Allah had chosen him to be His Last Messenger to Mankind, and congratulated him on being selected to become the recipient of the greatest of all honors for a mortal in this world. The Prophet was well aware of his mission and the angel merely gave him the signal to begin. Sunni accounts go on to imply that the Prophet was so surprised that he had even contemplated suicide. The Shi’a view outright rejects this notion. Though the Prophet did feel alarmed by the magnitude of the task ahead of him, as he arrived home he asked his wife Khadija to drape him in a blanket as he laid down to recapitulate the events in Hira to her. [74:1] O thou wrapped up (in the mantle)! [74:2] Arise and deliver thy warning! [74:3] And thy Lord do thou magnify! 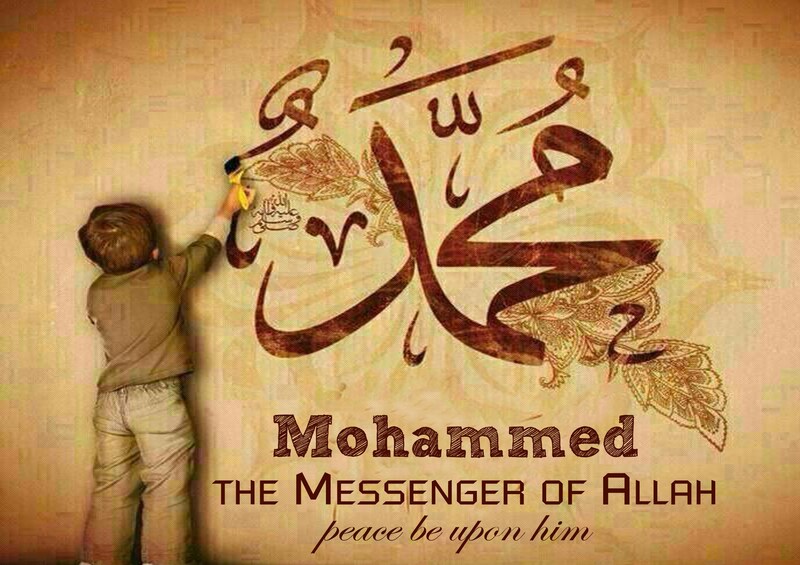 The Holy Prophet was now to go forth boldly to deliver the divine message, publicly proclaim the unity of Allah and invite mankind to worship Allah alone and follow His religion.